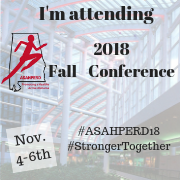 Share your excitement for ASAHPERD's Fall Conference by sharing a web badge! Use our conference badges for your social media accounts or e-mail signature. 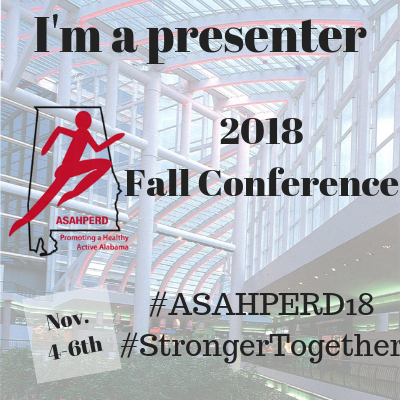 The official conference hashtags are #ASAHPERD18 and #StrongerTogether. Click on the links below to select the badge of your choice, then select "Save Image As..." or "Save Picture As..." to save it to your computer or device.